The 21st edition of the Mount Cameroon Race of Hope will not take place on the 21st February as planned, but has been postponed one week to the 27th February due to the rehabilitation of moliko stadium where the race starts. 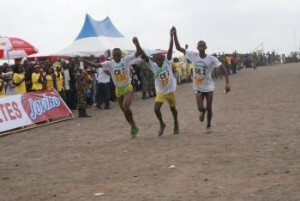 Mount Cameroon Race of Hope: the most important trailrunning competition in Africa. Mount Cameroon, situated 180 miles west of Yaounde, is the highest mountain in West Africa. 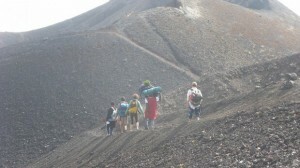 It is still an active volcano having last erupted only five years ago. 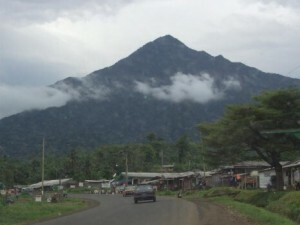 It is seen as a sacred place for the local Bakweri people who live on its surrounding slopes; they refer to it as Mongo-mo-Ndemi, or Mountain of Thunder. The mountain is famous around the world for the annual Race of Hope which takes place in the last weekend of January or during the course of February. The race, covering a marathon length of 26 miles, is steep, exhausting, and unforgiving. This gruelling competition attracts competitors and spectators from around the globe. More than 500 runners battle it out to be the first to race to the summit of Mount Cameroon and back again. The annual “mad race” requires athletes to run up and down Mt. Cameroon (13,353 ft.) in the central African country of Cameroon. The race is the most difficult in Africa; the course is so steep that some runners have to carry poles, and temperatures can vary from a humid 80 degrees F. at the start of the race to freezing at the summit. Thousands of spectators watch the race, in which about 500 runners usually participate; the winner’s time can be around four hours. Since it began in 1973, the winners have all been from the host nation and the Cameroonians are unwilling to relinquish their title. 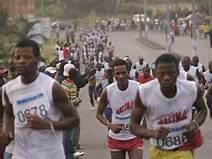 The star of this endurance race is a woman called Sarah Etonge, who lives close to Mount Cameroon. She has been dubbed ‘the Queen of the Mountain’ as in recent years she has won the race four times in a row. She tries to run to the top at least once a week as part of her dedicated training programme. Her accomplishments and dedication is even more of an achievement as when she is not scaling the mountain she is a single mother to seven children.